Friday, February 16th marks Chinese New Year Day. Chinese New Year is a 15-day festival that celebrates the arrival of the new lunar year, and this year is the year of the dog. Calgary Chinese Cultural Centre Lunar New Year Festival: this festival is running until February 18th, and is the city’s biggest celebration. Celebrations are taking place on the 17th and 18th, as well as exhibits on display throughout the Chinese Cultural Centre (197 1 Street SW). 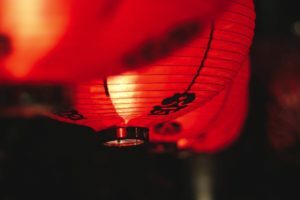 Chinatown District Lunar New Year Dinner: this cultural and business event includes a traditional Chinese dinner, performances and networking opportunities. Dress code is business wear or Chinese traditional attire, more information here. Chinese New Year at The Core: taking place from February 16 to 18, head to The Core shopping centre for performances by Chinese lion dancers, live music, a tea pop-up and more. A celebration of Chinese music: this Saturday, February 17, listen to the Calgary Chinese Orchestra play Chinese music old and new. This event is taking place at Arts Commons (205 8 Avenue SE) and will feature strings and bamboo instruments. ← What’s the upside to a down condo market?